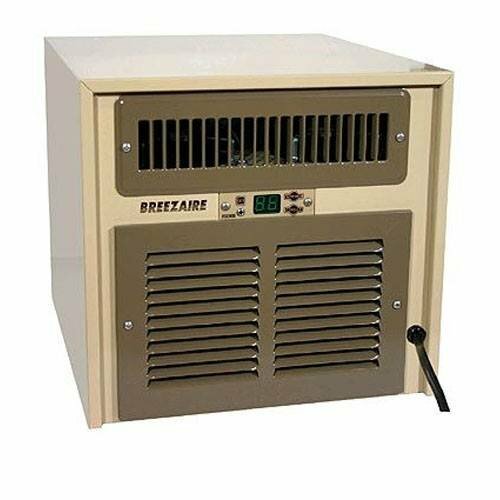 Breezaire is a manufacturer of wine cellar cooling units and has been in business since 1985. Most of all, the Breezaire WKL 1060 is a simple wine cooling unit to install. The company’s goal is to offer ideal wine temperatures without compromising the proper humidity for the upkeep of fine wines. 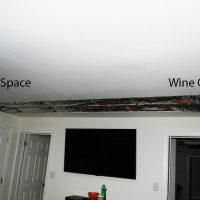 The company has worked with buyers as well as contractors on a wide range wine cellars. Breezaire cooling units feature specialized designs that create the perfect carefully controlled environment for wines. Unlike air conditioners or commercial refrigeration units, Breezaire cellar coolers cool the air without removing moisture. As a result, moisture essential for maintaining the integrity of corks and the wine itself remains in the wine cellar. Breezeaire systems deliver superior performance. Confidently purchase the WKL-1060. Because, this self-contained unit is assembled in the United States. Especially relevant, the WKL series is constructed using only the highest quality components. Additionally, the Breezaire comes with one of the best warranty’s on the market. The Breezaire WKL series is the preferred advanced self contained unit system. Performance of the WKL series will speak for itself. Because, this wine cellar cooling unit is equipped with the Sentry III+ control system. Control the temperature using air sensors or purchase the optional bottle probe. Breezaire WLK-1060 is the best entry-level wine cellar cooler and it has been an enormous success. Properly store wine in up to a 140 cu. ft wine cellar. This attractive metal enclosed wine cellar cooling unit will blend in well in most any wine cellar. This self contained wine cellar cooler requires no plumbing, special wiring, or refrigerant. So, try out this ultra quiet cellar cooler to properly cool your small home wine cellar! An excellent choice for a small home wine cellar! Cooling up to 140 cu. ft.